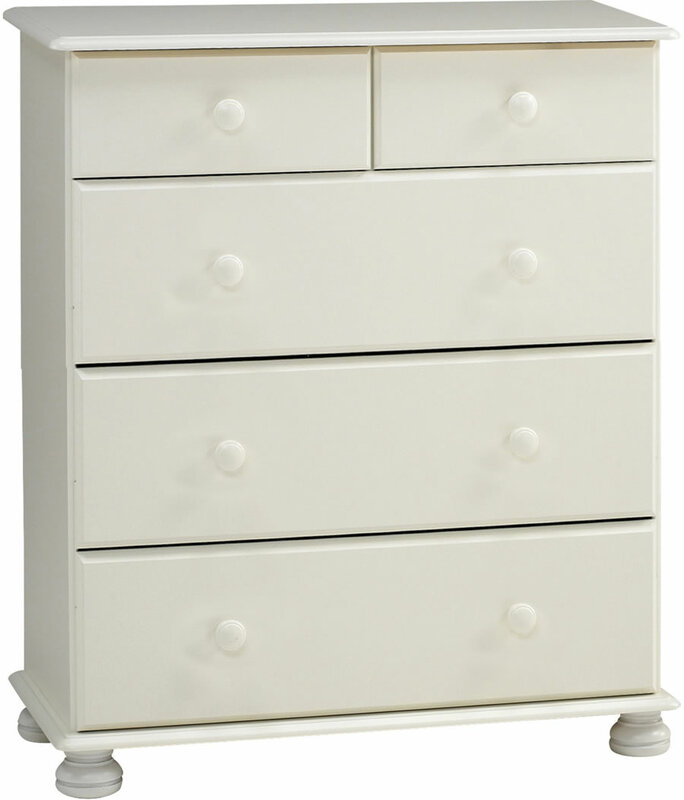 The Steens Richmond white 2 plus 3 drawer deep chest of drawers features two single top drawers and three full width deep drawers with solid pine round handles. The drawer unit top, bottom plate and drawer fronts are made from 16mm thick MDF, unit sides 12mm MDF, drawer sides 11mm solid pine and sturdy 2.8mm plywood drawer bases and unit back panels. 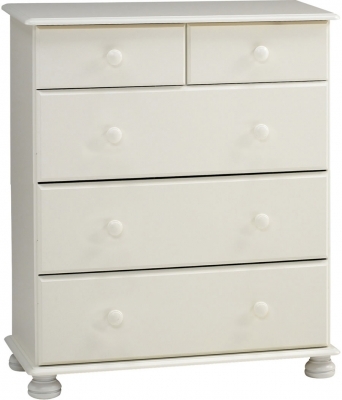 The Steens Richmond deep chest of drawers offers a traditional design with an elegant white finish.